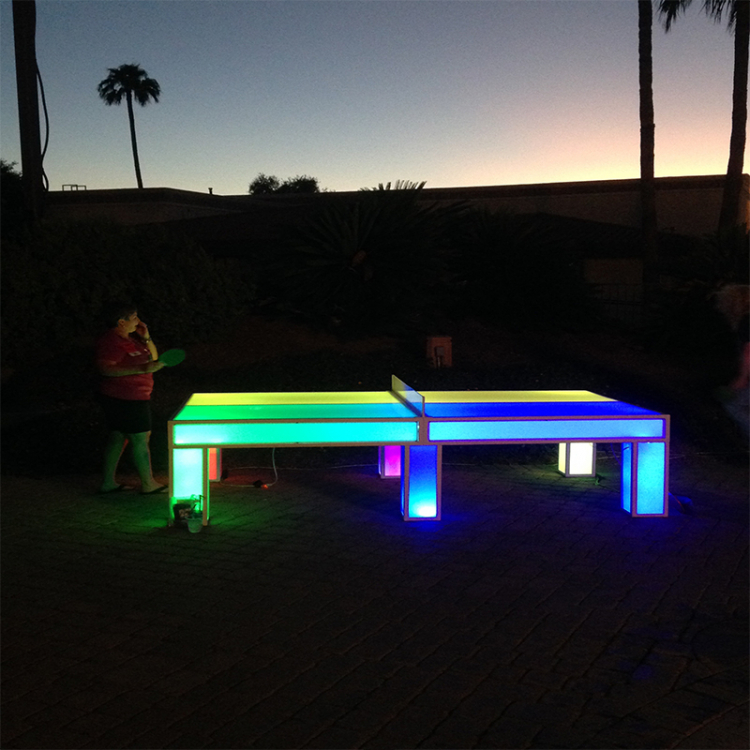 LED Glowing Ping Pong Table Rentals | EpicPartyTeam.com Phoenix AZ. 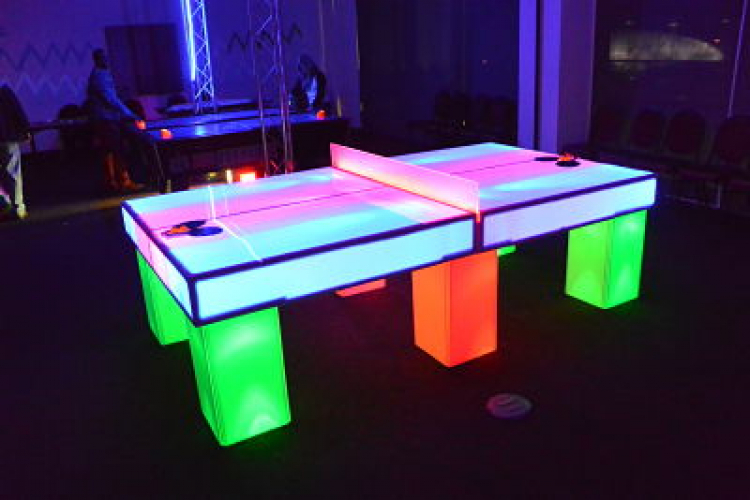 Light up your next event with our Glowing Ping Pong Table. This table is the perfect addition to any glow party or can event stand alone as the only glowing object in the room– it’s that impressive! These tables use LED color changing technology to light up. You can choose almost any color your want! We also offer many custom options for these tables including corporate branding and logos.